Home » Health Page » Are You Lactose Intolerant? If you experience diarrhea and abdominal pain shortly after consuming milk products, there is a good chance you might be lactose intolerant. The best way to test this is to cut milk out of your diet and see if your symptoms improve. If they do, you probably need to take an over-the-counter product such as Lactaid before eating or drinking any dairy products. However, if you have just discovered you are lactose intolerant, it is probably a good idea to mention it to your doctor. 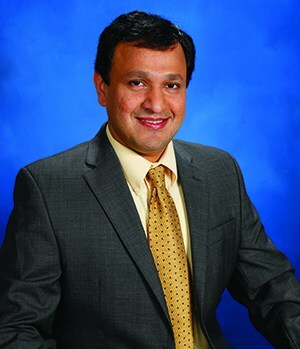 “While lactose intolerance is not dangerous in itself, you should talk to your doctor to make sure you do not have another condition such as inflammatory bowel disease, irritable bowel syndrome or celiac disease,” says Wilson P. Pais, MD, MBA, FACP, FRCP, gastroenterologist at Saint Francis Medical Center. “Sensitivity to milk can be a symptom of all these problems.